I’m somewhat of an expert on single serve coffee makers (and other coffee machines). I’ve tested many models over the years and am an avid coffee drinker. Keurig has been the leading single serve coffee maker brand since 2003. While many know that Keurig was founded by two former college roommates (John Sylvan and Peter Dragone) who decided to create an excellent cup of coffee with a revolutionary brewer, not everyone knows that they just looked up a Danish-English dictionary and chose the word “keurig” just because it means excellent. In fact, they were so dedicated to achieving excellence that Sylvan had a case of caffeine poisoning while testing out their prototypes. People love Keurig. It’s easy, convenient and the K-cup coffee maker is almost every coffeeholic’s dream. However, these days there are many alternatives to Keurig coffee machines. Some use K-cups while others don’t. Our list below includes a variety of options. It’s not that Keurig machines are bad (they’re quite good); it’s just good to know your options. It’s possible to choose your cup size between four and 14 ounces, allowing users to get the full coffee shop experience without the exorbitant price. It has an option for “pulse brew” that will extract even more flavor from the grounds that you use. The coffee is very high quality and the Bunndoes a great job brewing coffee with all of the nuances that drinkers expect from their beverages. This single-serve machine does more than brew just from pods, making it a great choice for the environmentally-friendly buyer as well as the one who wants to be able to easily brew loose grounds as well as pods, depending on the day and how much time he or she has. There is a drip tray that can easily be removed so that users can brew directly into travel mugs. Two-button functionality makes it very difficult to make a mistake when brewing with this coffee maker. Standard K-cups can work with the Bunn, allowing owners to enjoy all of their favorite flavors without having to have a Keurig. The design is not very stylish and the owner who wants to leave his or her coffeepot out as part of the décor of the kitchen or dining room may be disappointed by the appearance. It can be difficult at first to understand how to use the two-button function, especially for users who are used to only having to press one button to get their coffee to brew. This coffeemaker is very noisy and while that won’t be an issue when everyone in the house is awake, it can easily wake up members of the family if it is too close to a bedroom. The Bunn is difficult to keep clean. Filtered water won’t work in the machine and soft will not either, making it difficult for some owners to even use the coffeemaker. The minerals in the water are what will allow the coffeemaker to heat up, making it very difficult to get a strong cup of coffee. The reservoir does not hold enough water to be able to make multiple cups back-to-back and will have to be refilled more often than other units will. The only way to control how much brewed coffee you end up with is to put exactly that amount of water into the machine. The Bunn will not automatically stop brewing and has no way to control how much water is used if you pour in too much. Read more about small coffee makers here as well as my favorite single serve coffee makers here. This is the most heavy-duty coffee maker available that can stand up to being taken to job sites and handled by a lot of people. It brews amazing coffee that tastes as if it came from the local coffeehouse without the high price. A three-foot retractable cord makes it easy to take this coffee maker on the go, meaning that it’s ideal for the traveler who still wants a great cup of coffee. You can fit any kind of K-cup in it, making it easy for the owner to enjoy any flavor of tea, hot chocolate, or coffee that he or she already knows and loves. The water tank holds 85 ounces of water, making it ideal for making a lot of coffee for many people. In addition, it has a carbon filter to ensure that the water is always fresh and tastes great. The tank is spill-proof and easy to remove and to fill. Users can quickly brew one cup after another without having to wait for the machine to heat back up. It only takes 70 seconds to brew an eight-ounce cup of coffee and there are options for 12-, 10-, and eight-ounce sizes. It’s possible to dispense hot water without using a cup, making it ideal for preparing oatmeal or soup. The water tank lid has to be adjusted on a regular basis to ensure that it is nice and tight and isn’t going to leak. It tends to underpour so it’s hard to get a very large coffee with this maker. There isn’t any way to adjust the temperature of the coffee. Unlike a French press, which can be taken anywhere, this coffee maker requires electricity. Although the rugged appearance makes people think that it would be great to take camping, there is no way to run it on a battery. Due to its weight, it is not easy or comfortable to carry for a long distance. With its small size and slim profile, it does not take up a lot of space on the counter, making it ideal for people who live in apartments or have small kitchens. The rinse feature will instantly clean the brew chamber. It’s fully programmable and comes with a number of different features. Owners can get hot water from the machine, making it easy to make soup, hot chocolate, and even tea. With an adjustable brewing temperature, it’s easy to get the perfect cup of coffee. The water reservoir can hold up to 72 ounces, making it ideal for the home where it will be brewing cups back to back. It is possible to stop the machine during brewing when the desired amount of coffee has been brewed. This is great for owners who prefer their drinks short. This machine is compatible with K-cups and comes with a reusable filter cup that will let the owner use any ground coffee that he or she wants. It takes a long time for the water to heat up to brew a cup of coffee, which results in having to plan ahead so that the coffee is ready to go when the owner wants it. Some people complain that the coffee maker is unable to make very hot cups of coffee. They tend to leak water more than other units do, which results in more time spent cleaning up the pools of water. Read more about large coffee makers here. It’s hard to make a mistake when brewing a cup of coffee with a French press. By simply adding coarse-ground coffee and hot water, users will get a fresh cup of coffee in just minutes. Because it is not electric, it can be used even when the power is out. Many users love to take a French press when they go camping so they can enjoy a perfect cup of coffee outside. This is one of the more affordable coffee makers on the market. Unlike other options that have many settings to deal with, there is just one way to operate a French press and this will result in lower costs both at purchase and during the life of the unit. It’s difficult to accidentally overbrew the coffee and make it too strong. If it is too weak, then the owners can easily lift up the plunger and allow the coffee to brew for a big longer. It is not just for coffee as a French press can also be used to easily brew tea. Owners never have to buy filters or pods, just the beans that they want. In addition, it’s easy to switch between plain and flavored coffee without it changing the taste of the next cup that you brew. Unlike other machines that need to be thoroughly cleaned, the French press can quickly be rinsed to get rid of any flavors. They’re very easy to clean, they are made of glass, and there are no difficult pieces that have to be sanitized. If the coffee is left for a very long time in the French press, then it will become bitter. It’s important to pour it once the desired strength has been reached as it will continue to brew in the press. It can be frustrating to have to heat up water for the press and then wait until the coffee is brewed, especially for owners who are used to one-button technology on other coffeemakers. The grounds can get stuck in the bottom of the French press and make it difficult and time-consuming to clean. Until owners understand how to brew the perfect cup, then there will probably be variation in each drink they make. It is much less expensive than a coffee maker that uses pods and it’s easy to use any ground coffee that you want as long as there is a filter. It takes very little effort to add the water, filter, and grounds. Many machines have a timer that allows owners to set the unit to make fresh coffee in the morning. Coffee will stay hot for a long time as long as it is left in the carafe. Users enjoy the same consistency in their coffee each time they brew. It’s easy to dump out the grounds and the filter and clean out the pot every week. There is no way to take this kind of coffee maker with you if you are camping. Losing power means that you can’t make coffee. The oils of the coffee may be blocked by the filter, which can result in a cup that doesn’t taste as good. Flavored coffees can change the taste of regular coffee if brewed back to back. The machine will mold if the coffee and filter is left inside and wet for a few days. 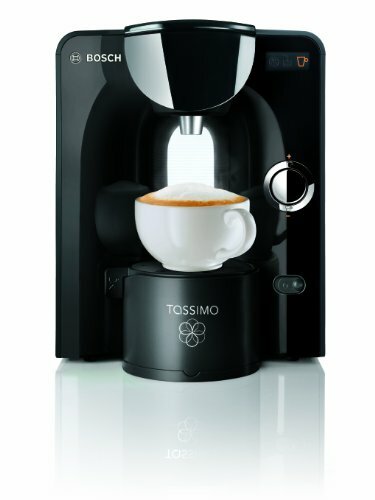 Tassimo machines use T-discs instead of K-cups. Our family uses the Tassimo T-55. Once upon a time when researching what type of single service coffee maker to buy, I went out and bought 11 different models that included K-cup machines, multi-purpose machines, non-Keurig K-cup makers, a few Keurig machines and Tassimo machines. After testing all of them over a two week period, both my wife and I liked the Tassimo T55 coffee maker best. Not only is it fast and brews excellent coffee, it’s a very sturdy machine. In face, we still have it several years later. Read my full Tassimo T55 review here. See all our coffee maker articles here. There are so many great alternatives to the Keurig these days. We also love the Bialietti Moka Pot and the Delonghi Dedica. They both make a great cup of coffee in minutes without the waste. Thanks, Rachel, I will definitely try these products.